New Year, new look! Changing your furniture around to create new spaces and functionality works well in getting your home in order. Take the time to determine which pieces are used the most and rotate them with the ones that aren’t. This will ensure every piece is equally used to avoid excessive wear and tear. Once you start cleaning items and areas, having a checklist to denote what you did and when it should be done again will help keep the home clean, organized and orderly. You should also know how to keep a home inventory checklist. You may be able to acquire some of the best homeowners insurance policies available by installing fixtures and appliances that preserve water and keep your carbon footprint low. 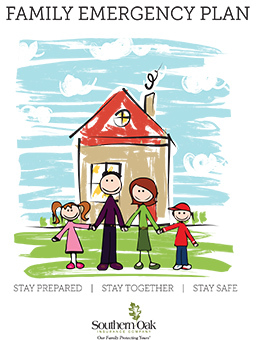 Now is the time to think about whether or not you have any health or safety hazards in your home. Checking for radon and cleaning behind your dryer are two main areas that are frequently neglected. If you do not have an alarm system, this may also be a good time to explore home security options that can give you discounts on your Florida home insurance. Automating your bills with automatic pay will cut down on time and helps the environment. You will have less paper, and will organize your finances at the same time. It’s all about color! Changing up the color scheme of a particular room can give you a new perspective on life. Choose colors that are relaxing and inviting that will last until you make new décor decisions. Go through your closet and other areas, getting things that are not being used or have not been used. Pack up your giveaways and take them to the church, Salvation Army or another charitable organization. It’s important to always review your homeowners insurance policy to determine whether or not you are eligible for discounts. When looking at these policies, the first question should always be how much is homeowners insurance? Check your appliances to make sure all bulbs and burners are working. If there are any outages or signs of excessive wear, now is the time to replace. As a homeowner, it’s your job to keep both the inside and outside clean and attractive. Improve the landscaping to increase the curb appeal of your home. These resolutions should keep your home organized for the rest of the year. 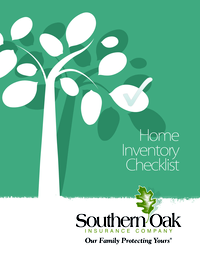 In addition to reorganizing your home, be sure to download a free Home Inventory Checklist.